One of the things that bothered me in childhood was the teaching that if I didn’t believe a certain way, I would surely go, you know…to the bad place. I didn’t want to be scared or coerced into believing a certain way. Many people claim to know the truth, but all too often beliefs are handed down and adopted and never really examined in the light of day. I want to be conscious about my beliefs, to discern if they are healthy, and functional…or, in some cases, if they even make sense. The reality is that no one really knows The Truth; and certainly not Your Truth. All any of us really have is the discernment that comes from observing cause and effect in our own lives. As in, I notice when I honor such-and-such beliefs, I feel expansive and hopeful – or, I notice when I harbor certain other beliefs, I feel fearful and angry. 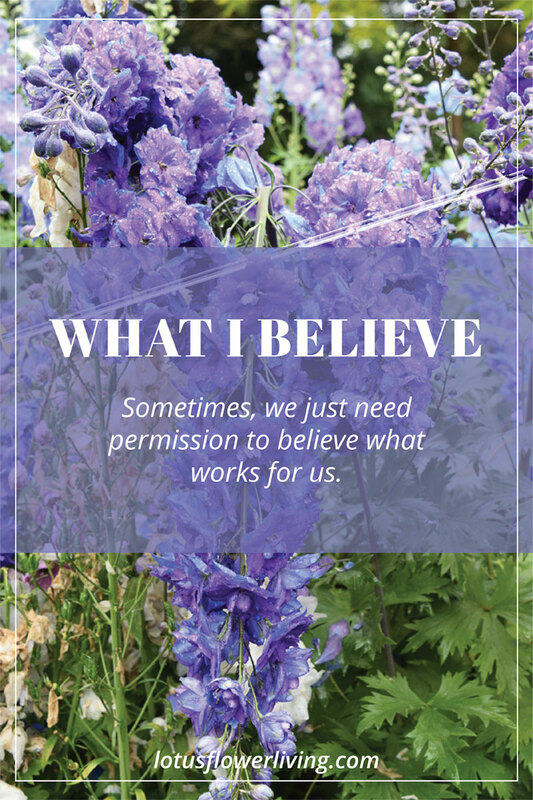 Sometimes, we just need permission to believe what works for us, and especially if it brings us joy – we need encouragement to believe in it with all of our hearts. And then, it can be fun to notice how life feels and unfolds with our new beliefs. Sometimes, we just need permission to believe what works for us. Every once in a while I like to write a list of the beliefs that make up the foundation of my life. This helps remind me of what is working, and also prompts me as to what might need to be revisited or discarded. So, just for fun, here is a partial list of my beliefs which I offer only as inspiration for you to create your own. Love is the most powerful force in the Universe. In kindness, and saying please, thank you, excuse me and I’m sorry. That taking control of one’s thoughts and the resulting emotions is a skill that can be learned. 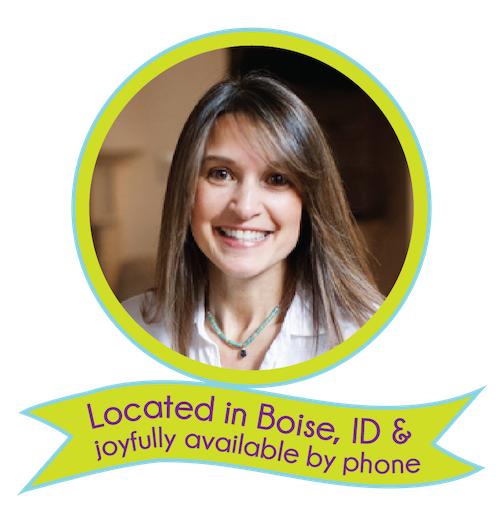 That co-dependency training, and learning healthy boundaries, is a valuable curriculum. That cultivating balanced self-love and self-respect has a powerful effect on my ability to love and respect others. That something good comes out of everything. That when life gets hard, there’s something to be learned and once we get the lesson, the situation resolves because then the issue no longer has a reason to exist. That commitment is a powerful intention and when we commit to something life-giving, joy follows. In cultivating one’s intuitive senses through meditation and prayer. In the law of cause and effect, the law of attraction, the law of divine reciprocity. That life is a mirror, reflecting back to us our beliefs on every level all the time, and when we want to change something about our life, all we need to do is change the belief and then watch as the reflection changes. We all come here to learn and grow and are doing the best we can, often while forgetting how powerful and capable we are. That an unexamined life misses the whole point. That we are meant to live abundantly and can never claim too much, as long as what we claim does not infringe on someone else’s right to have or to be. That it is up to me to create a life that I love and as I do this for myself, I encourage others to do it, too. 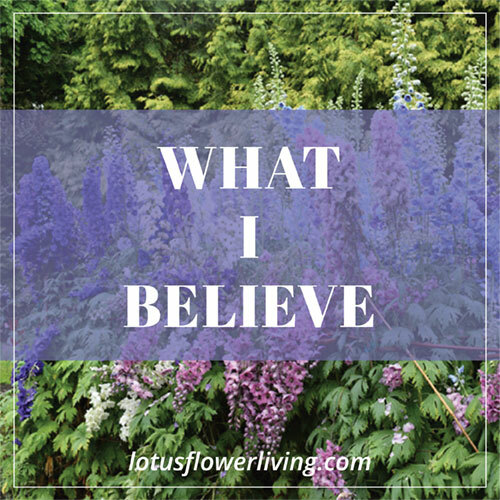 It is exciting and empowering to take stock of our beliefs. Do you consciously know what you believe about life and about yourself? 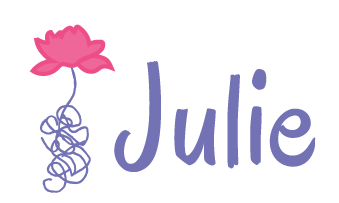 Have you ever made a list of your beliefs, looked it over and identified how each belief feels to you? Are your beliefs life-giving? Do they help you love yourself and others? Do they bring you peace? If not, what might you change to make it so? Do you consciously know what you believe about life and about yourself? Beliefs are very personal and unique. This is not about adopting popular thought or following a specific line of thinking. It is about encouragement to identify what you actually do believe about yourself and your life, and to consciously choose beliefs that work for you. And finally, just in case no one has ever given you permission to believe a way that works for you, I want to offer you that today. I BELIEVE IN YOU!